Popcorn is the ultimate snack. It's easy to grab by the handful and nosh on without realizing you've finished the entire bucket! 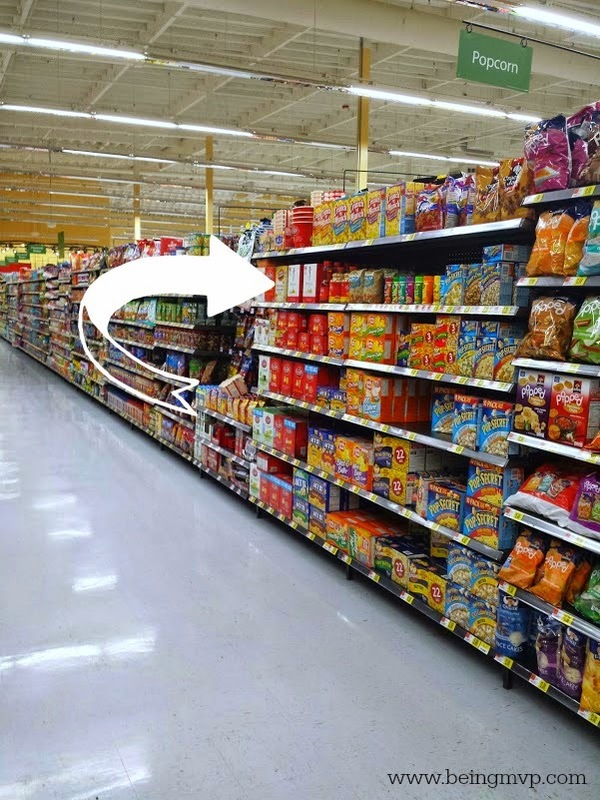 So I was excited to Skinnygirl is now offering a low calorie popcorn that is perfect for snacking on without feeling guilty after polishing up to the last kernel. The mini bag size is awesome with only 25 calories per cup popped. I like that my kids can also enjoy Skinnygirl popcorn because there are no artificial flavors, no artificial colors, no artificial sweeteners and no high fructose syrup. Are you seeing a pattern? 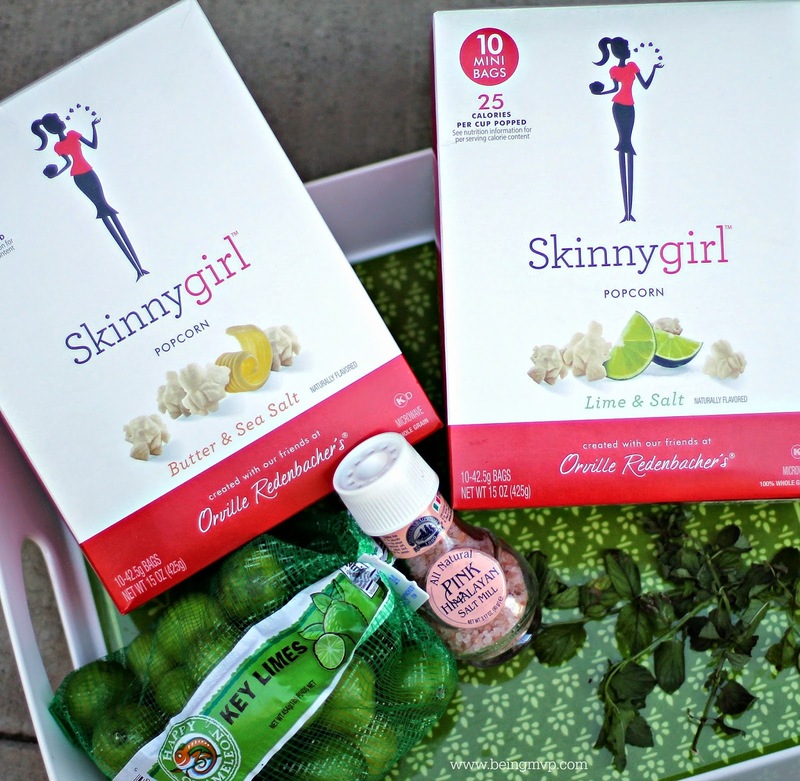 One of my favorite drinks is a mojito (original + flavored) so I thought it would be delightful to pair the flavors of a traditional mojito with the Skinnygirl Lime & Salt popcorn from Walmart to create a fresh new flavor with a kick. Zest the limes and set aside in a bowl. Place bags of Skinnygirl popcorn into the microwave and pop away. Make sure to not over pop (check the wattage of your microwave) because you don't want to end up with burnt popcorn. Open and inhale the delicious smell of the hint of lime flavor. This popcorn is delicious on its own but I wanted to take it to the next level. Pour the popcorn into a large bowl. Sprinkle the lime zest onto the popcorn and mix. Grind Himalayan pink salt over the bowl to your taste. I discovered this amazing salt when in Maui and use it every chance I get. 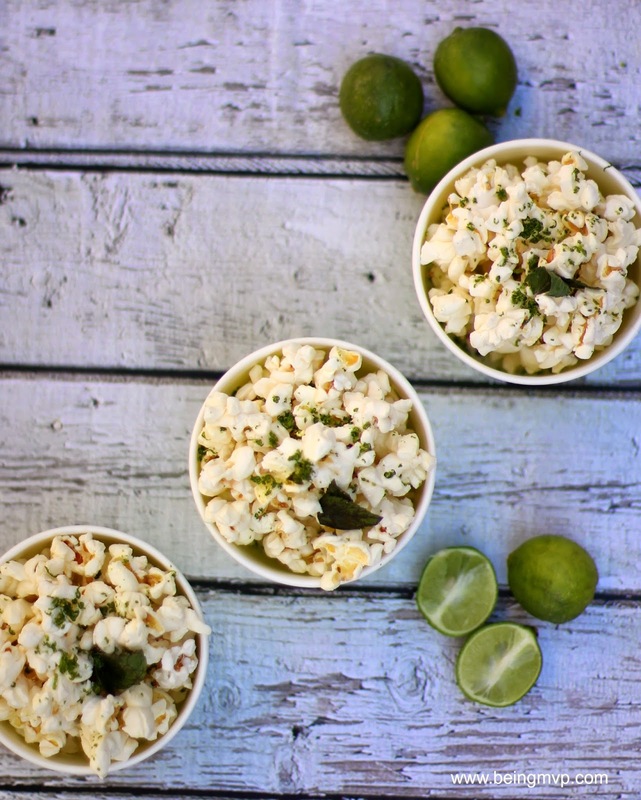 The perfect mojito flavor married into a delectable popcorn snack. The ultimate Skinnygirl treat that anyone can enjoy! My kids eat this up by huge handfuls and leave not a zest of lime in the bowl. Do you enjoy popcorn? Have you tried Skinnygirl popcorn? OMG, there are no words for how much I love this. You are my hero right now. This sounds like the perfect flavor pairing for Skinny Girl Lime and Salt! Now I'm craving a low calorie snack and some Skinny Girl! Oh my husband will love this! He loves a hint of lime with his popcorn! It sounds amazing. Heading to Walmart later today and I just wrote these on my list - I've been hearing amazing things! This looks amazing! Perfect for those nights I need some guilt free pleasure. I love Himalayan pink salt! This looks delicious. I'm going to have to pick up some of this popcorn and try this. That is my kind of popcorn. Thanks for sharing. Thank you for sharing this! I have been wanting to try this popcorn and this makes it sound even better! omg no way. mojito popcorn!? for real? YUM! This looks delicious! This would be the perfect movie night nom nom! What a yummy snack! 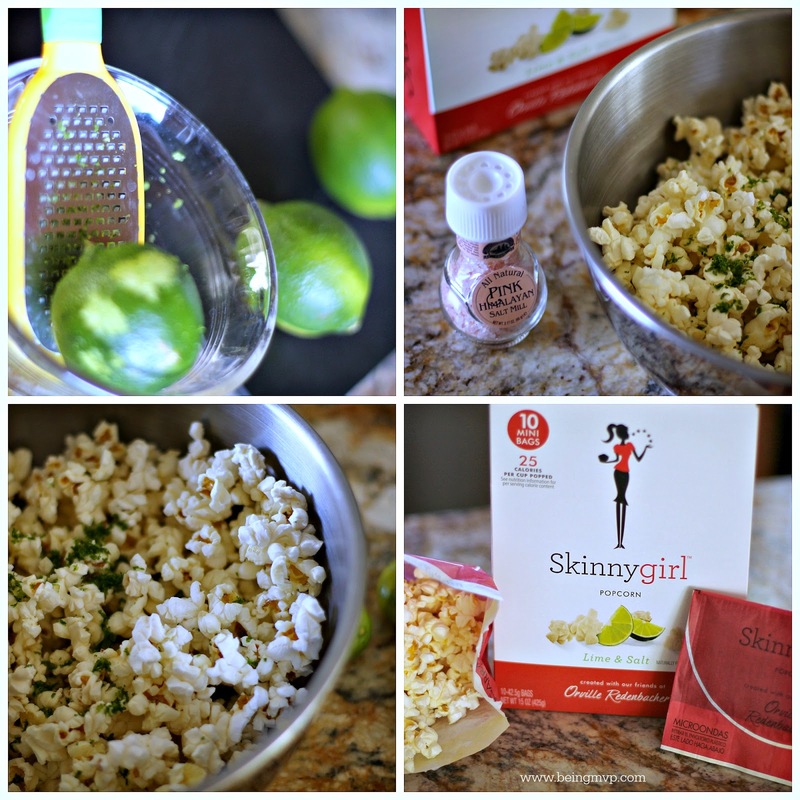 Skinny Girl popcorn is already delicious, and this mojito variation sounds awesome! What a great idea! You can add even more flavor but still keep it good for you. I love it! Ohh I love popcorn. 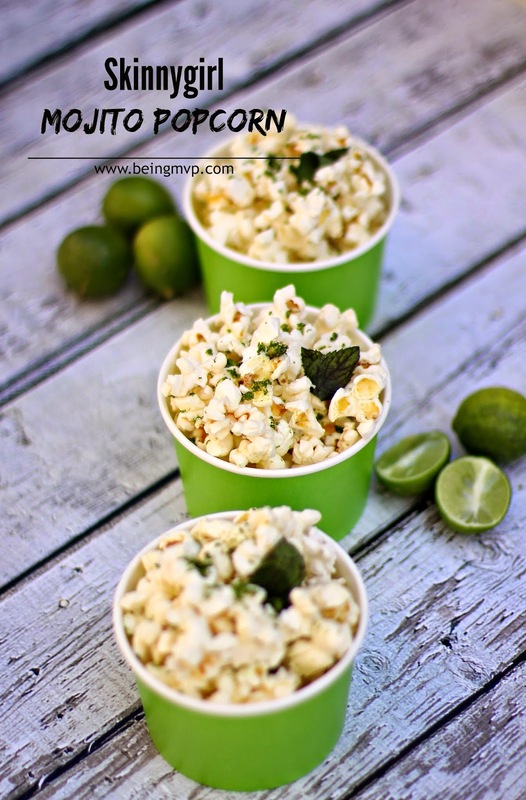 I totally want to try this Mojito Popcorn! Sounds like a nice healthy snack and the portion is a nice size too without over eating! What a nice snack, can't go wrong with popcorn! I've never heard of this before but it looks delicious with great seasoning! I have to try me this awesome Skinnygirl Popcorn recipe. It looks so delicious, and I did not know that they are selling this in the store now. I want some!! I had no idea that Skinnygirl made popcorn. I am adding this to my shopping list asap. Our family LOVES popcorn. This recipe looks so yummy! Why don'i just air pop some popcorn and at lime zest, juice and salt? An advertisement for skinny girl??? I do have to try this popcorn. I love Skinny Girl products and enjoy the drinks too. I had never heard of skinny girl popcorn, now I'm gonna check it out! Omgosh i cannot believe I have never heard of this amazingness before!! This sounds delicious and so fabulous!! Making asap! !